Lake Oswego is a wonderful place to live, and our cleaning service is recognized as the professional choice that hundreds of local homeowners use to clean their homes the right way. You'll find our satisfied customers come from all over the West Side Portland area including: Tigard, Tualatin, West Portland, Oregon City, West Linn, Hillsboro, Beavercreek, Canby, Wilsonville, Beaverton, Sherwood, Newberg, Garden Home, Aloha, Durham, King City, Forest Heights. • Our Lake Oswego maid service employs the most trusted, best, highly trained professionals in the Portland metropolitan area. Hundreds of customers in Portland, Tualatin, and the Willamette Valley, Oregon trust our employees because we screen, uniform, train, and supervise them at all times. Our best practice standards are stringent so you can trust our house cleaning maids to do the best job possible in your home. • We value your time. We focus on always being on time so you can be assured that the job will be done to your satisfaction. Our local home cleaners understand how you value your time, and we pride ourselves on cleaning your home thoroughly when promised. • Green Cleaning Products. Maid Brigade’s Lake Oswego home cleaning service is a Green Clean Certified service. This means that your house cleaning maids use green processes and solutions to give your home that perfect shine without harming your health with dangerous chemicals. Green Clean Certified® means eco-friendly green cleaning. If you would like to find out more about our green housecleaning services and find some green cleaning tips, please click our Green Clean Certified icon. • Rewards for You. 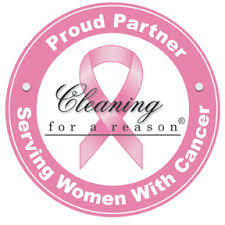 Our Lake Oswego maid service has a new reward program for our house cleaning customers: the Preferred Client Program. Discounts on your first and anniversary cleanings, priority scheduling, and one-year price protection are some of the benefits you will get when you join our Preferred Client Program. To find out more, just click the Local Specials link at the right. • We listen to you, Our residential cleaning maids leave a quality card during every housecleaning visit to make sure we’re giving you the best clean available. Though most of these come back with positive reviews, we invite you to ask us any questions or give us feedback that we can use to serve you even better. To schedule local house cleaning services, request a domestic cleaning services brochure, and more, just call us today or visit the links on this page. Maid Brigade of Lake Oswego was presented the 2007 Maid Brigade Franchise of the Year Award, a superlative that recognizes high standards in consistent and thorough service.